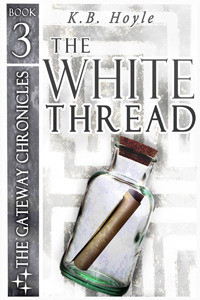 We are starting on The White Thread (book 3 of The Gateway Chronicles) today. Chapter wise this book is a little shorter and there are 5 Sundays in August so we will only be reading 6 chapters each week. Once, again, I'm reading a previous edition so there may be a few differences in it from the one you can pick up at Amazon. 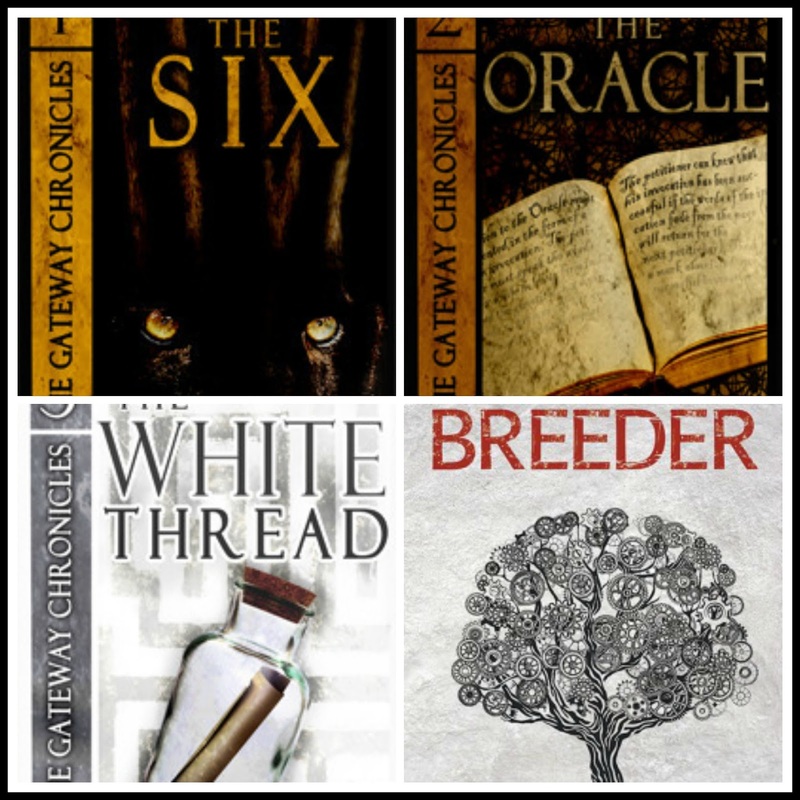 I think the reason I didn't remember the beginnings of the previous two books being slow is because starting with The White Thread the story moves quickly from the first page. This is also the first book were we get to see a little bit about Sam's, Lewis's, and Darcy's time at school. Do you think Brandon Cooper really likes Darcy and is picking on her in that silly immature boy way? Ooh. Colin Mackaby is missing. Did he run away or is he stuck in some other world? I feel bad for Darcy as it seems like her and her dad's relationship is a bit strained this year. Their interaction at the end of chapter 1 is almost difficult to read because they always seemed to be so close. What do you think of Darcy and Perry's developing relationship? I can't help but roll my eyes at the opening to chapter 2. If you haven't intently read K. B. Hoyle's blog or read her interviews, you may not know that one of Hoyle's favorite books to teach to her students is The Histories of Herodotus, which she gives a little shout out to in chapter 2. Have read it? I haven't. I actually had never heard of it until I read this series. Is Darcy changing into a tsellodrin? Are you as freaked out as Darcy when she saw her blood? What would happen if she did change all the way while still in her world? People would totally freak out. At least she finally confided in Sam. You may know that the six friends are somewhat based on the group of friends Hoyle made at camp. There was a boy that all the girls crushed on, much like Perry. I wonder if the boy of Hoyle's childhood had a bad haircut one summer or if it was purely her dislike of a current trend. Do you think Darcy is obsessing over Colin? Or are the rest of them not taking it seriously enough? After the encounter in the woods they are all anxious to get to Alitheia. The past two years they have gone through at the same time and it looks like they won't be able to get through early. It is interesting that Darcy feels compelled to beseech Pateros to open the Gateway early. I think there may be some importance to it. I mean, Pateros could have just opened the Gateway without Darcy asking. Or Darcy could have thought of it of her own accord. But she does it without thinking and it says she doesn't know what compelled her to do it. So they are through the Gateway, but things are...different. No one is waiting for them. Even the fairies, gnomes and other creatures seem to be gone. At least Darcy is a bit more confident this year. She stood up to Perry when she knew what they wanted to do was wrong. Too bad she couldn't talk the guys out of going whether they all went or not. What do think about the golden circlet that formed when Darcy did her bit of air magic? A circlet is a type of ring. And Rubidius is mad. What's new, right? What do you think of the apparition of Tselloch? So things aren't so good in Alitheia. It seems like this year the six are going to have to get serious about what they are here for. Yes, "they" say the first year they were too young, too uneducated, too unskilled. The second year, Darcy's quest took them off course. But I also think "they" didn't really know what the six were suppose to do to "fix" things so they've been doing what they could in the meantime. What do you think about Tellius fit of rage over a slur against The Six? Darcy was getting a little ahead of herself with the whole "Your Majesty" thing from Nurse Dembe. I thought it was kind of funny. And though Tellius is only 14 he seems so much more mature. I guess it is the pressure he is under. I like the ending to chapter 6. I can just hear Tellius saying this with a bit of smug attitude. "Eleanor is away. I'll handle Rubidius." Next week we'll get into swordplay and more as The Six settle back into life in Alitheia. We'll discuss chapters 7 - 12. 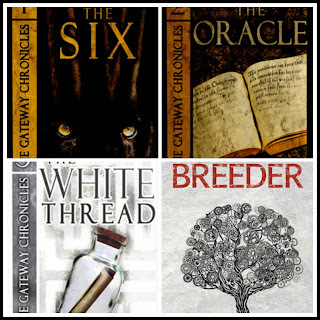 Enter to win an ebook gift pack! The "bad haircut" thing was actually a nod to a pet peeve I had in the year I wrote this book. My eighth-grade students that year were largely obsessed with Justin Bieber - well, actually, here's how it went: The girls were openly obsessed with him, and the boys openly disdained him, but they belied their disdain by all imitating that gosh-awful bowl haircut that Bieber had in... I guess this was 2010? Anyhow, I hated that haircut so much, I had to write it into the book! On a different note, though, I really love The White Thread, especially for Tellius. This was the first book I managed to find a way to have him be an active part of the plot beginning to end, and the first book in which he begins to mature. I finally got to start to show the reader hints of the plans I had moving forward for him.